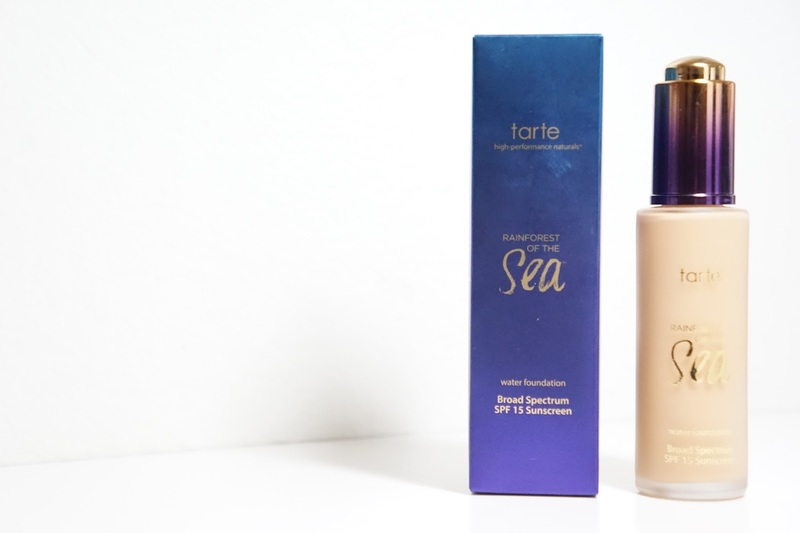 The Tarte Rainforest of the Sea Water Foundation in Light-Medium Honey is my latest foundation purchase. The claims include being a lightweight, full coverage foundation that also helps hydrate the skin. There's a small amount of SPF (non-chemical SPF15) in the foundation and so I wouldn't wear just this in the summer for my only sun protection product. There is 30 mL / 1 fl oz of product and it retails for $39. The foundation comes with a dropper applicator and that's probably the only thing I'm annoyed about with this product. The mouth of the bottle is also pretty narrow and so I always have to be careful when putting the dropper back. I think a pump or a bottle with a bigger mouth would've made this perfect. The bottle is made out of frosted glass and so I would still be careful with it while traveling. I feel like this swatch picture is either saying I'm lying to myself or that I do change colors depending on the season. I choose both reasons. Light-Medium Honey is supposed to be a mach for light-medium skin with peach undertones. For reference, I'm about a MAC NC35, L'oreal Infallible Pro-Matte Foundation in 105 Natural Beige, and Makeup Forever Ultra HD Stick Foundation in 127=Y335 (for my lighter days). This foundation is more on the peachy side compared to the rest of my yellowish foundation but it's still a very good match. If anything, Light-Medium Honey might be the slightest touch darker than the rest of my face, but it's still a good overall match since my forehead is darker the rest of my face. I generally have some redness on my cheeks but most of my blemishes are more visible on the sides of my face. In all of these pictures, I only have foundation on (besides skincare) and you can see that most of my acne marks are covered. 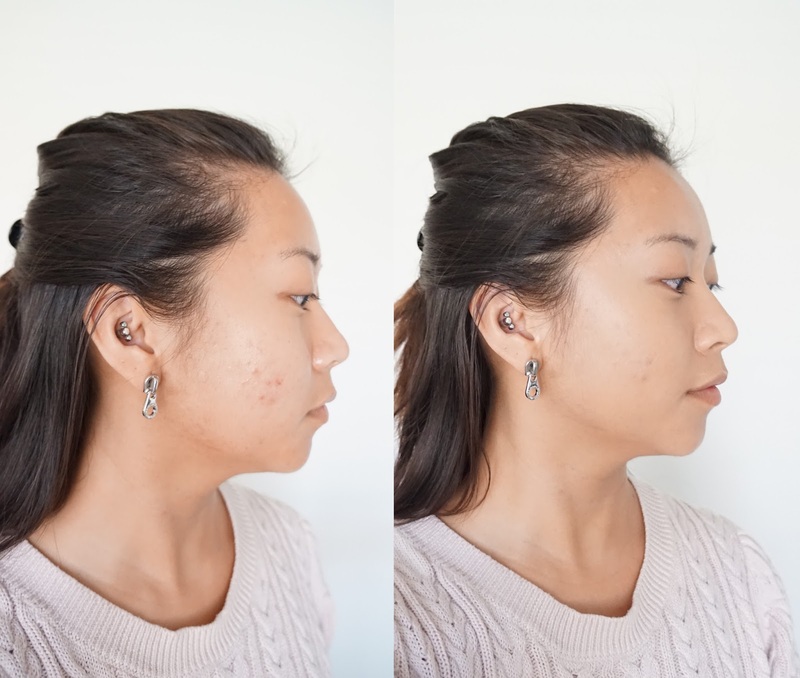 I still need concealer to help with those new and super dark acne marks, but it's great to know that this foundation covers the majority of it with a very minimal amount of it. I prefer applying this foundation with a buffing brush. I feel like it gives me the best finish and coverage, but you can also use a sponge like the Beauty Blender. The finish of this foundation is one of the most skin like finishes I've ever seen. There's even that slight dewyness that looks very natural even if you're standing close to me. 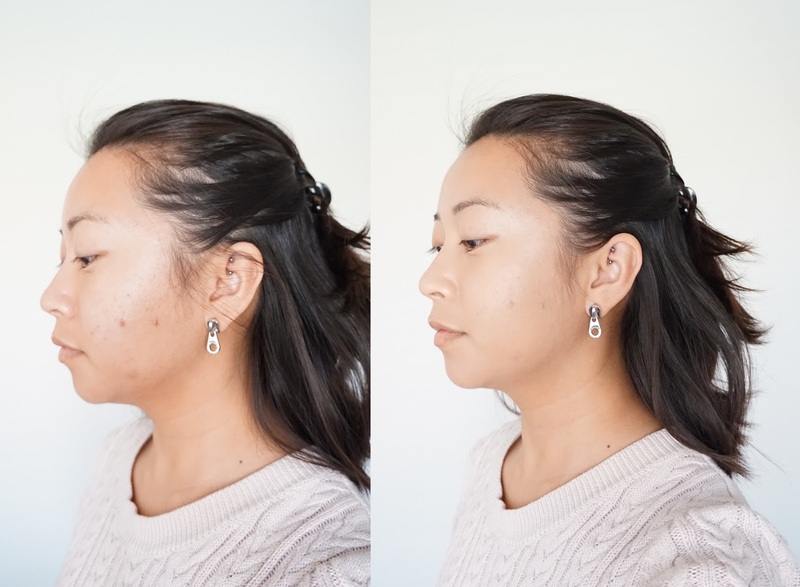 I would stare at my face in different lightings, including gross fluorescent office lighting, and it still looked like I was wearing nothing on my face. For longevity, this foundation lasts for most of the day but I can see it breaking down quicker on my cheeks. I have this problem with most foundations though and so it doesn't bother me. The oil on my t-zone shines through by the 8th hour, but my boyfriend says I still "shine like the light" and I'm going to take that as a good thing. I mostly have normal / dry skin though out the year but it has been hotter lately and so my t-zone gets oily pretty quickly. I think people with oily skin types could get away with using this foundation, but a Sephora Sales Associate told me that it was formula for those with dry and combo skin. 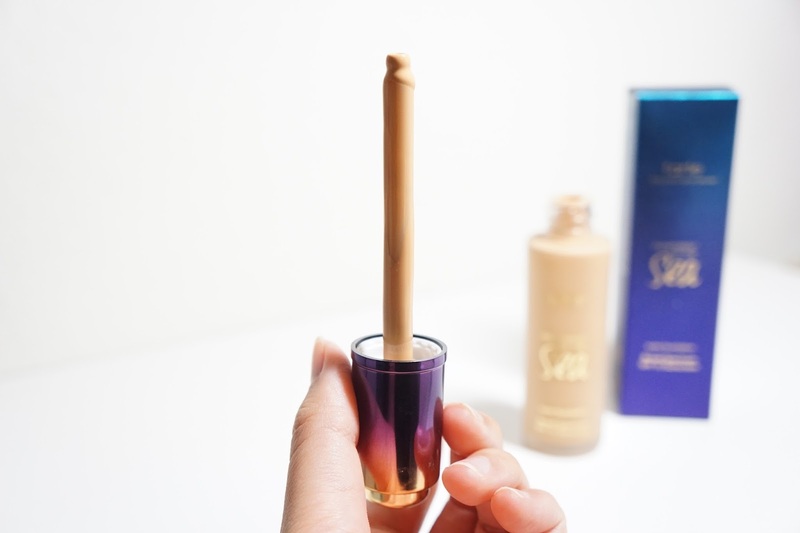 Final thoughts: I love this foundation! It feels light on the skin and it has a pretty decent amount of coverage. I kind of hate using concealer on my face (besides the under eye area) and so I love how this covers up almost everything. 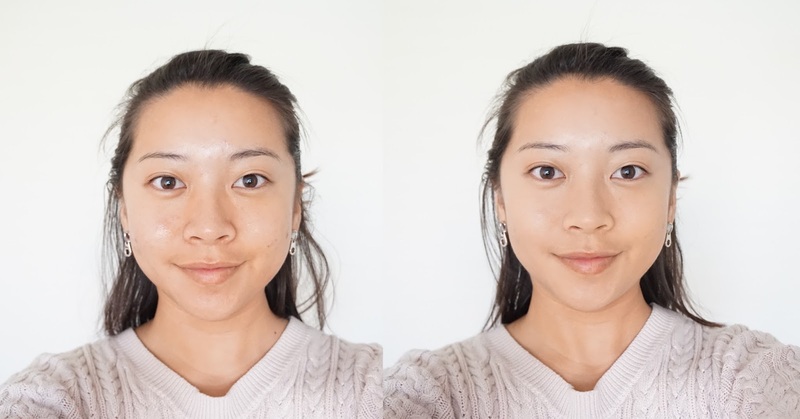 If you're into lightweight dewy foundation, I would check this out. I kind of feel like this is replacing my favorite Bourjois Healthy Mix Foundation as well since it does feel lighter. Have you tried this foundation? 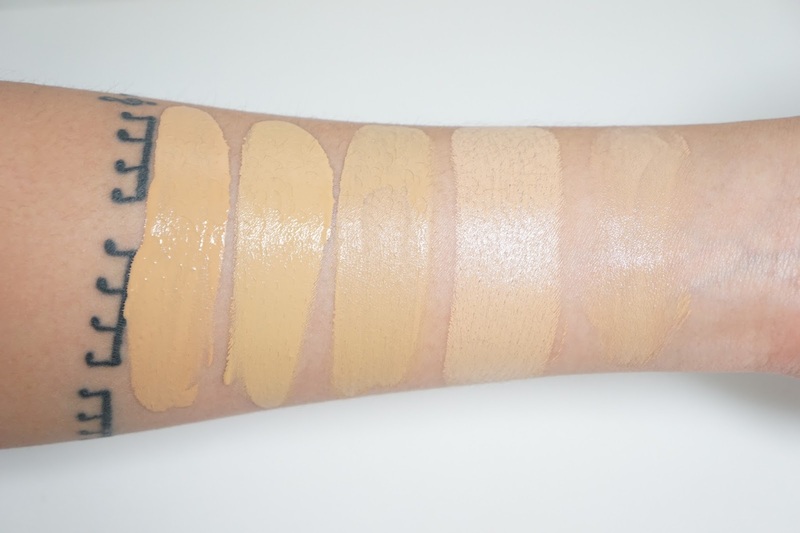 What's your favorite light weight, but still high coverage, foundation?